I think I've mentioned this before... but back before I had kids I thought I would be a really amazing parent. When my oldest son was about a year old I commented to a friend that every day I felt like I realized more and more things as a parent that I wasn't doing. The longer I am a parent, the more I realize I know very little... and I can use all the help that I can get. Sometimes I feel like I am totally rocking the parent thing... and sometimes I wonder why anyone let me leave the hospital with my little people. Because each child in our family is very different, I am constantly reading and trying new things to help me become a better parent to each of my kids~ individually. Every few weeks in 2014 I'll be sharing a post or two specifically focusing on some things I've been learning (or re-learning). I will also be sharing some of the best parenting articles I've read... that have got me thinking, changed my perspective, or left me even more confused than when I started. I'd love for you to share with me too. Feel free to add to the list and share any books or articles you are reading. "Those with enough positive parenting, where they felt loved and valued, are able to use that to build on throughout life, even if their later building materials are scant. Every child needs to know that someone is in their corner, rooting for them." My question to myself when I was reading this was... How do you show your kids that you are in their corner rooting for them? What do you do on a daily basis to help them feel loved and valued? My answer was... NOT ENOUGH! "If we want our children to become who they’re meant to be, let’s ease up. “Nobody’s perfect” can be two of the most empowering, healing words when said to oneself or to another human being." I need to say this out loud every day. Criticizing myself and my family just tears us down. It is so much easier to do sometimes... I need to take the higher road and stop it. "But, parents must be careful. Children will become who you say they will become or who you say they are. So, give them the opportunity to be more and different than what you perceive them to be." I have been labeling my middle child as hard and overly emotional for awhile. She is sweet and thoughtful and talented in so many ways, but I tend to focus on the negative more. I often wonder if my labeling of her has made her harder than she is. I am trying to change what I say and "gossip" about her in more positive ways. Change is hard! "My dear mom had never laid a hand on me. Never punished me. Never yelled at me. But she clearly could not handle my feelings. The result was I felt innately bad and wrong for ever having them. So I’ve made a special effort to accept all my children’s emotions, especially their anger…to let them know that it’s always okay for them to be mad at me. I’m not going anywhere." I think if my kids liked me all of the time I wouldn't feel like I was being a good parent. I don't get overly upset when they are mad at me and I love Janet's perspective. It is so important for our kids to know that whatever emotions they feel, we still love them. "This may not be music to your ears, but the fact is that parents are often to blame in unknowingly encouraging sibling fighting. With a few tweaks to your parenting style, however, you can make a big difference in family harmony." This totally doesn't surprise me one bit because sometimes when I am trying to help kids resolve an argument I have a little voice in my head telling me what I am doing isn't working... but I don't know what to do... so I keep going. I loved the tips in this article from Positive Parenting Solutions. They are ones I need to practice again and again and again. Have you been reading anything else this week that you can share with me? What are your parenting challenges right now? 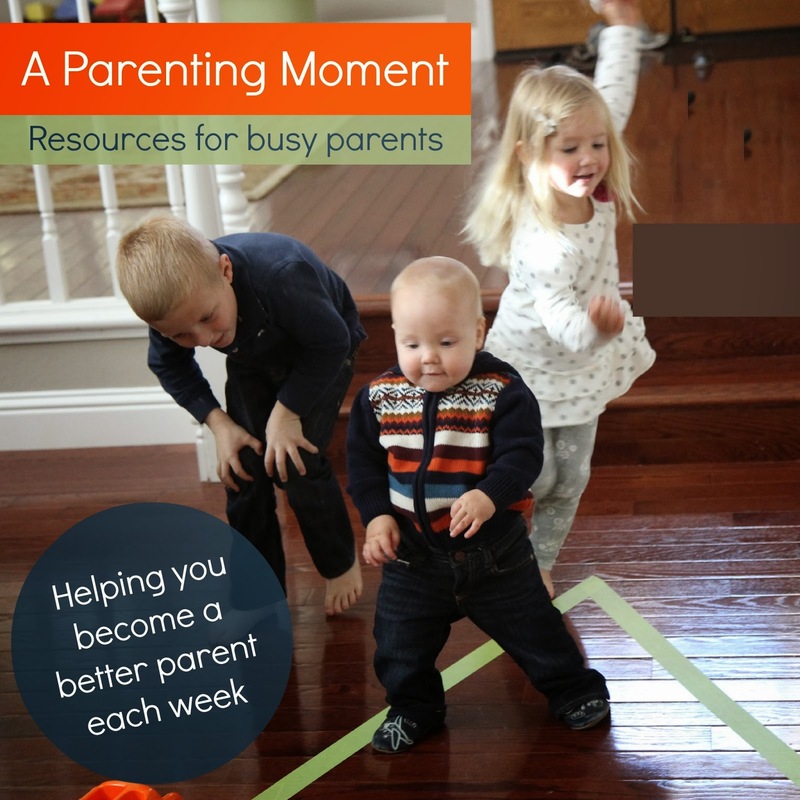 You can find some of my other favorite posts over in our Best of Parenting area. Two posts that are crazy popular every day are Toddler Tantrums... Ways to Deal and Eight Ways to Deal with Anger as a Parent. I'll be back soon with some of our Toddler Approved resolutions along with some fun winter crafts and activities. 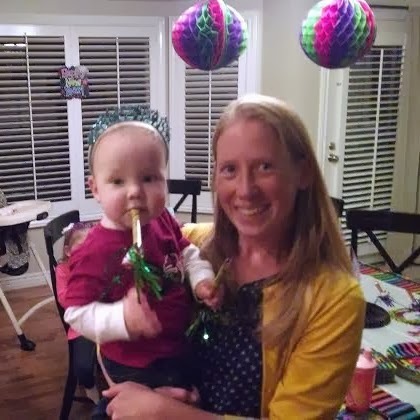 Have a great weekend and Happy New Year from me (and my little 15 month old sidekick) from our blurry phone!